A new paper on the synchrony and stability in high diverse grasslands. 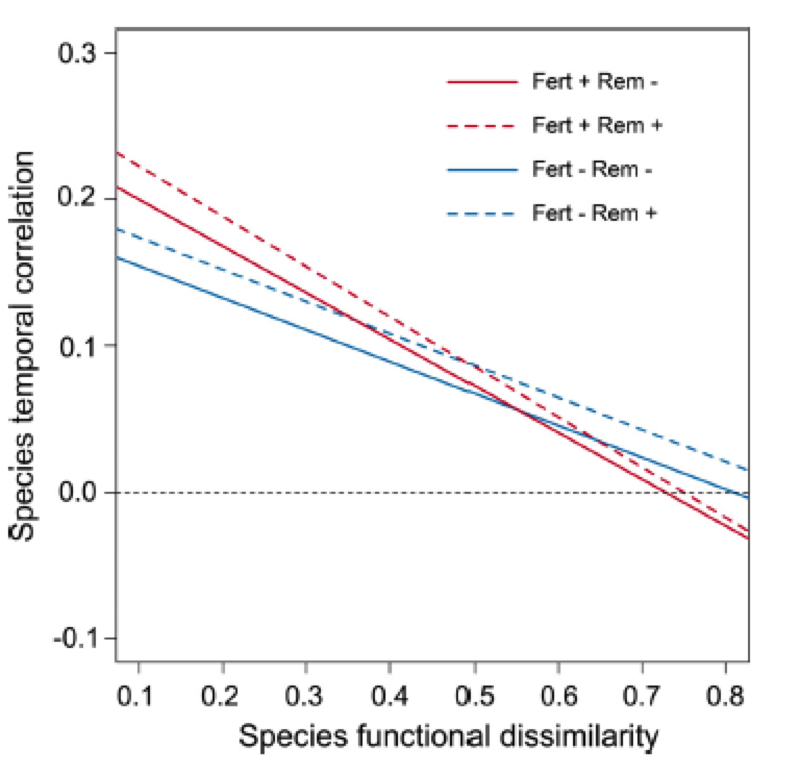 With data over 16 years of sampling we show that fertilisation does increase instability of productivity but it does not do so by increase synchrony between species, as commonly assumed using indices which are trivially related to species richness. This new study provides also an insight on the effect species functional similarity on their synchrony.